Here at CRS Graphics, we offer a range of printed surface stickers to customers throughout Nottingham and the surrounding areas. Our range covers both paper and vinyl stickers to ensure we’re offering the best possible range to our customers in and around Nottingham. As professional surface sticker printers, we pride ourselves on offering some of the best available in the area. All of our surface stickers are printed using quality inks and materials, to ensure both a high quality finish. If you’re in need of printed surface stickers in or around the Nottingham area, then be sure to order them from CRS Graphics. Our range of surface stickers can be personalised to suit your exact requirements. Whether it’s simple paper surface stickers or white vinyl surface stickers you need, CRS Graphics have you covered. All of the personalised surface stickers we offer are printed to some of the highest standards. Surface stickers can be used for everything from labelling to advertising and much more. When you choose CRS Graphics, we can work with existing artwork or we can create a design your you. If you require more information on our surface stickers, then please don’t hesitate to get in touch with us. When it comes to needing surface stickers in Nottingham or the surrounding areas, be sure to place an order with CRS Graphics. All of the surface stickers we offer can be fully personalised to suit your needs. 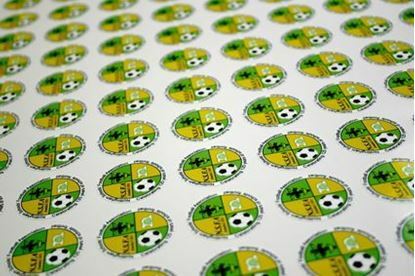 We ensure all of our surface stickers are printed using quality inks and materials to ensure a high standard of finish. If you’re in need of printed surface stickers, then be sure to order online from CRS Graphics. Alternatively give us a call and one of our team will be happy to help. 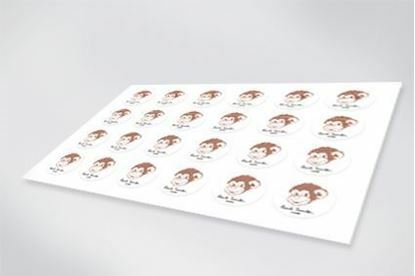 High quality, full colour, digitally printed personalised stickers from as little as £0.15 each (depending on quantity)! • Select from our standard sizes, or your own custom size. • Select required adhesive and backing paper type. If your option is not available, or for higher quantities please request a Quote for our most competitive prices.